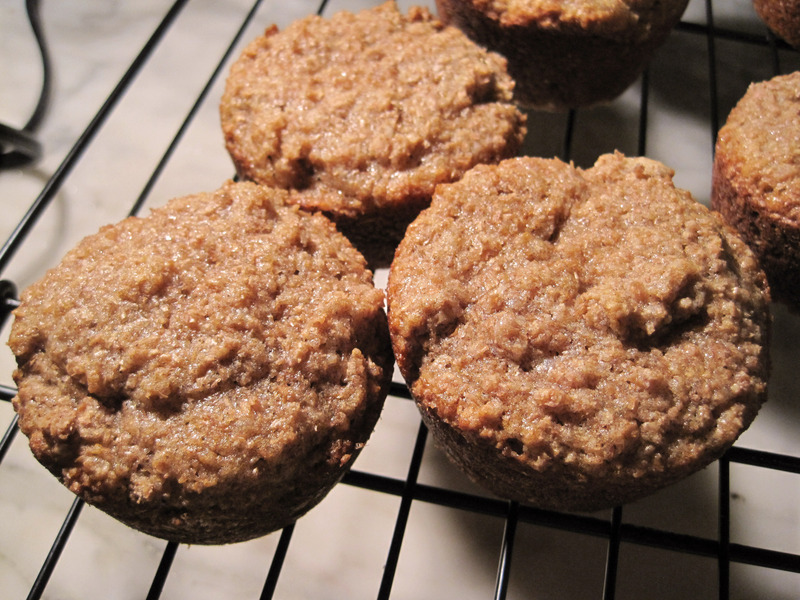 Here I have a very basic, but very tasty yogurt bran muffins that are a snap to make. I had some Greek yogurt and I decided to make something yogurt-based. As they were baking, they smelled wonderful, the cinnamon scent really came through. The muffins fresh out of the oven had a really good texture; moist with a crackly crust. I recommend greasing the muffin pan instead of using paper liners to maximize full crustiness. I used white whole wheat flour for added healthiness, and personally would reduce the oil to 1/3 cup because I don’t like being able to smell vegetable oil in my food. These muffins are also 169 calories each for 12 muffins. Not a crazy amount; and in my experience a higher caloric proportion of fat tends to make food more filling. Mix together the flour, baking powder, baking soda, salt, and cinnamon; set aside. Mix egg, brown sugar and oil together in a mixing bowl. Stir in vanilla and bran.